Ridge, like Wild, is a standalone. 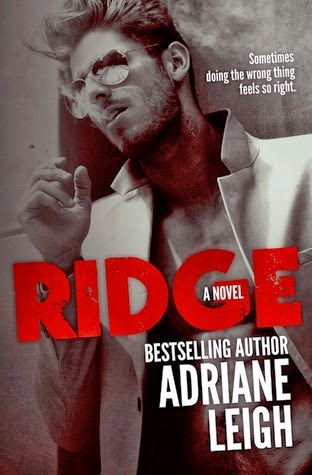 Reading Wild first will provide some back story, but is not required to read Ridge. *This book includes situations that some may find uncomfortable. First let me say that although this is book 2 in a series, it can be read as a standalone with no problem. I love stories told from the male POV. I’m not sure if it’s because we get so little of it in the overall romance market. But whatever it is, when it’s done well, I gobble it up. And that’s what we get here. There isn’t a POV jump between the girl and the guy. This is totally all one male POV. And this male Ridge is a complicated guy with more than enough skeletons in his closet to make you think he needs therapy. And maybe he does, lol. But the story is realistic in isn’t telling. How does one go about fighting the demons of your past? This and many questions will be answered. One more important thing, if you are curious about reading. This isn’t a story about a guy falling in love with one girl, although I will dare say, you will be happy with the ending. This is a story about struggling with life, vices and demons. It's darker, grittier, and all that more exciting. Overall, I was captured by the ridges that make up Ridge, lol. He has many layers that I enjoyed peeling through.